InertCap FFAP is a strong polar column incorporating polyethylene grycol modified with nitroterephthalic acid. 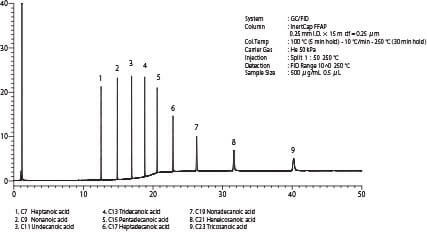 As the liquid phase shows acidity, it is possible to analyze volalite fatty acid without having a derivatization. InertCap FFAP is optimal for the analyses of acidic compounds.